Happy New Year everyone! 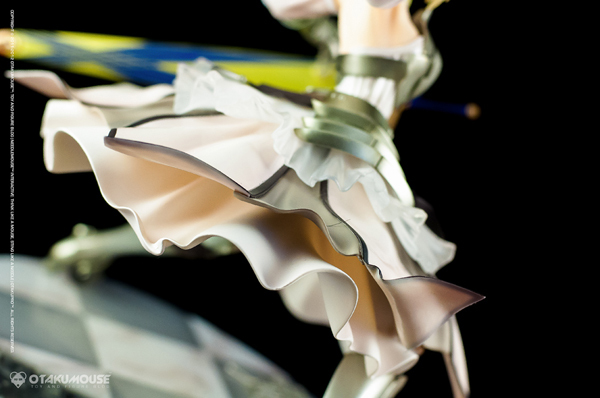 Today’s figure review will focus on one of the best Saber Lily figures in the Market. 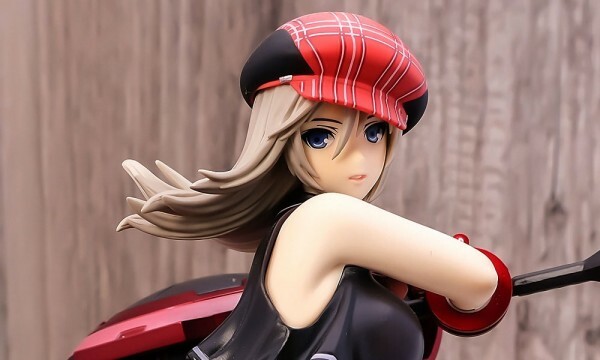 Manufactured by the talented people at Good Smile Company, this figure was originally released way back in 2009 and received a re-release treatment in January last year (2012). I already have this figure for some time now but this is the first time I had a chance to review her. 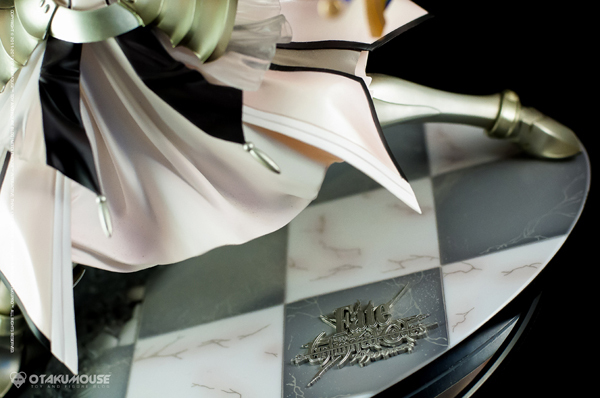 My very first Saber figure was Alter’s Saber Lily (which is also a great figure btw). 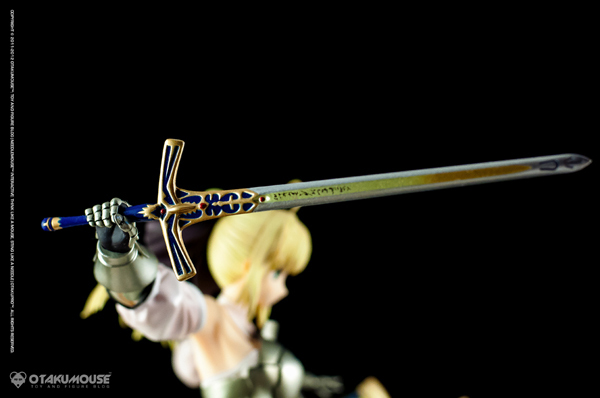 It was then followed by Saber: Triumphant Excalibur still from Good Smile Company (I was still new in figure photography back then so my apologies for my crappy shots :P). 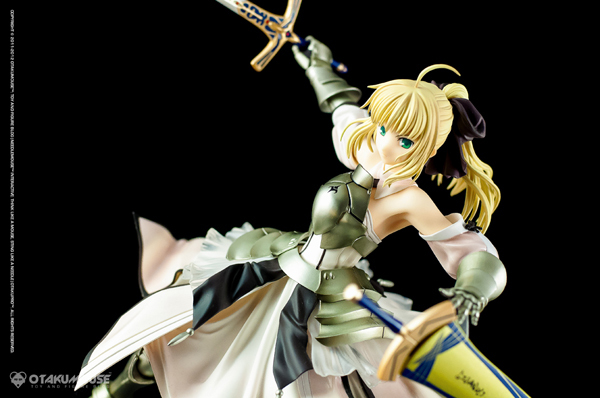 I’m currently waiting for GSC’s Saber: Golden Caliburn (which is a re-release) coming February this year to complete the whole set. 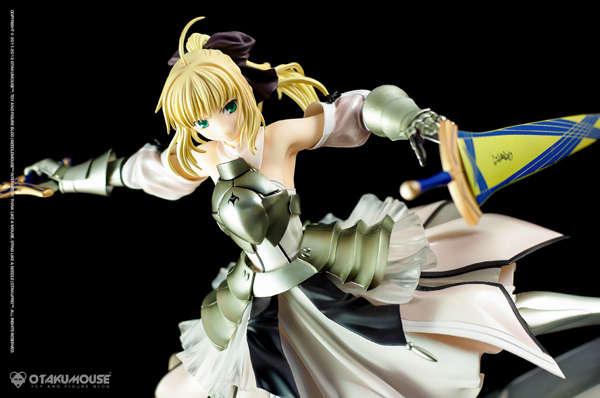 Saber is a very popular character in the anime series, Fate/stay night by TYPE-MOON. 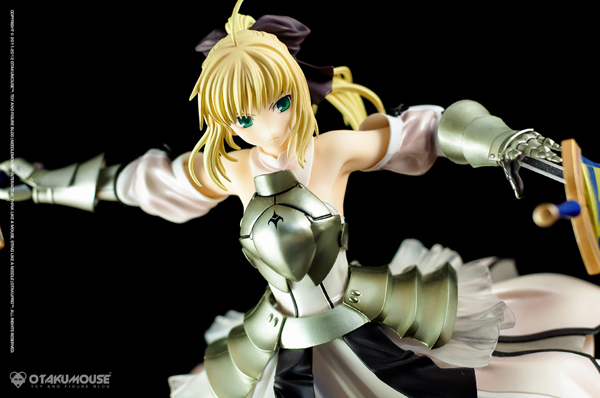 She also appeared in Fate/stay night’s prequel, Fate/Zero. 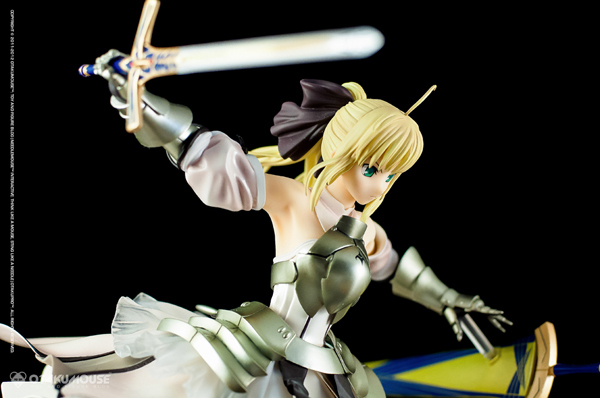 Saber gained popularity specially in Japan’s otaku pop culture. She was cosplayed numerous times by different cosplayers around the world (Maridah’s cosplay was my personal favorite). 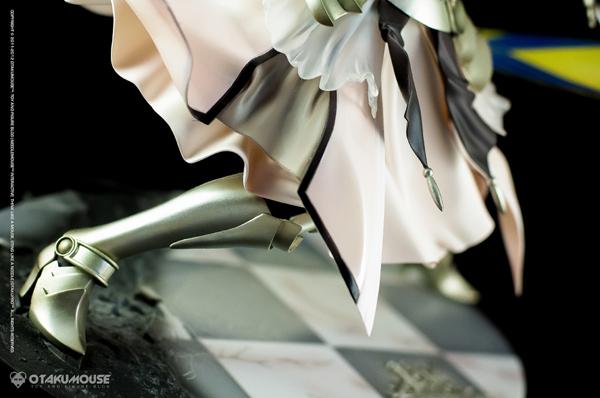 She also received a lot of figure treatments from top figure manufacturers around Japan. 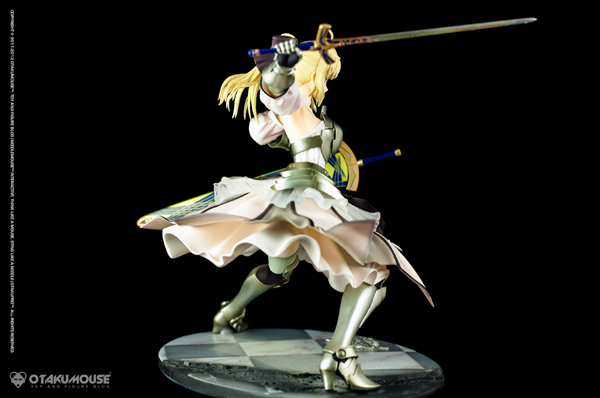 Saber was a knight guardian of the main protagonist in the Fate/stay night and Fate/Zero series. 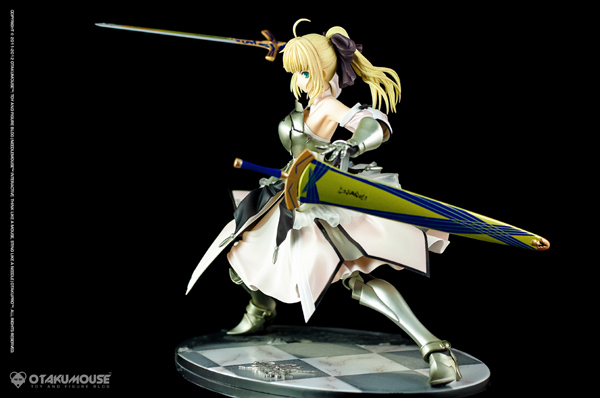 The “Saber” name was derived from her guardian class, Saber which means “Sword” (Yep, there are other classes in the series like Archer, Caster, Assasin, etc. Just think of it as your standard MMORPG game:P). 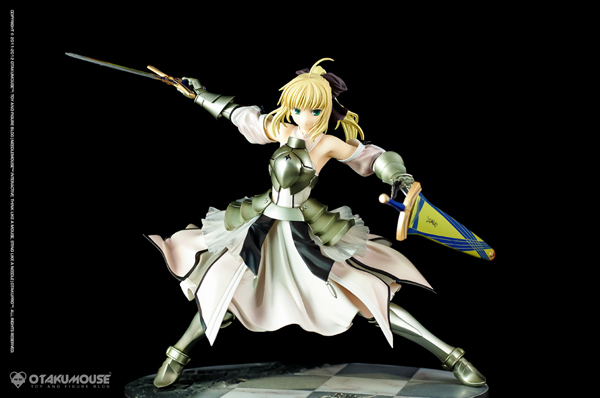 It was unveiled that Saber’s true name was Arturia Pendragon, a character inspired by the legends of King Arthur. Good Smile Company sculpted this incredible figure at 1/7th scale. It stands roughly 9 inches tall. 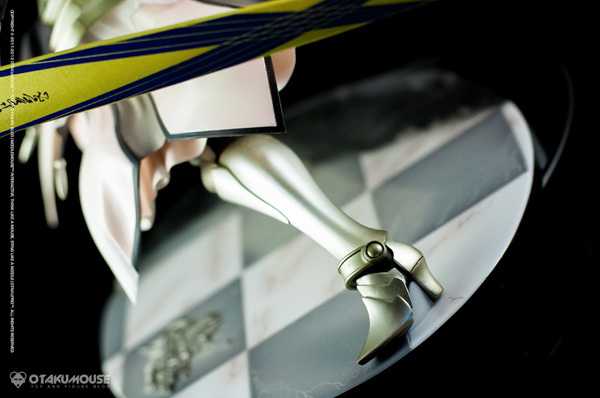 As expected with GSC, this figure is packed with some of the best quality control in figure manufacturing. The sculpt is really technical and complex with lots of fine details. 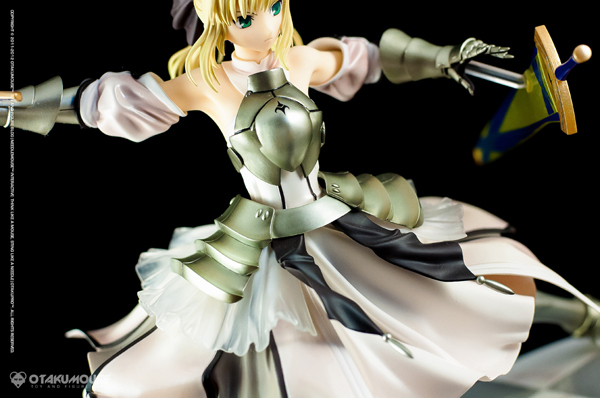 How they sculpted Saber’s outfit is one of the strong points of this figure. The organic appearance of her clothes is just amazing to look at. 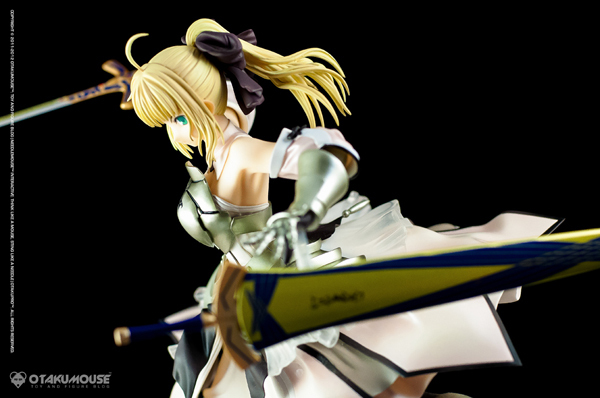 Saber’s dynamic pose adds up to the overall awesomeness of this figure. 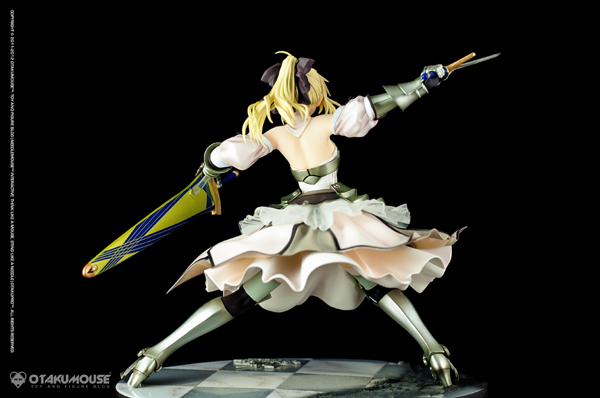 Her battle pose is very natural and you can sense the intensity of it. 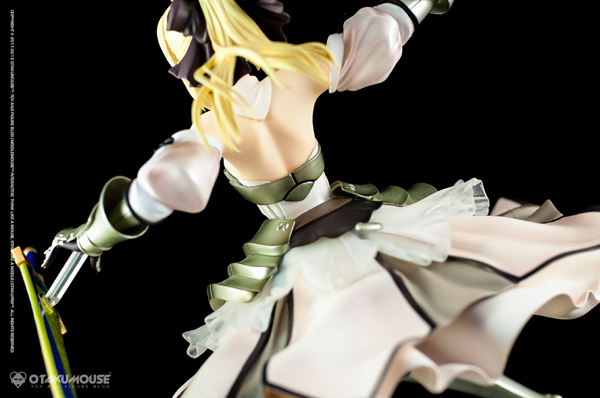 There are no proportion inconsistencies that can sometimes make a figure’s pose look awkward at certain positions. Everything is in the right place. 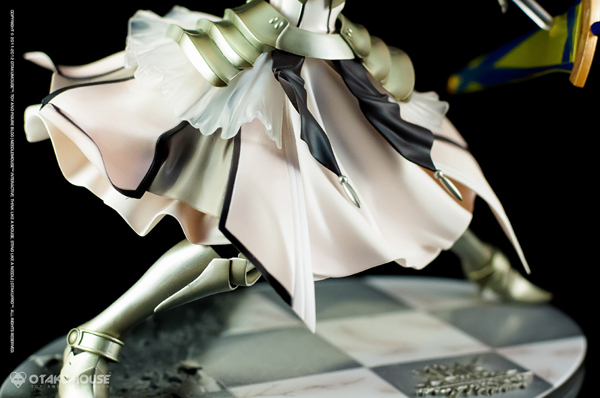 The figure is very detailed. 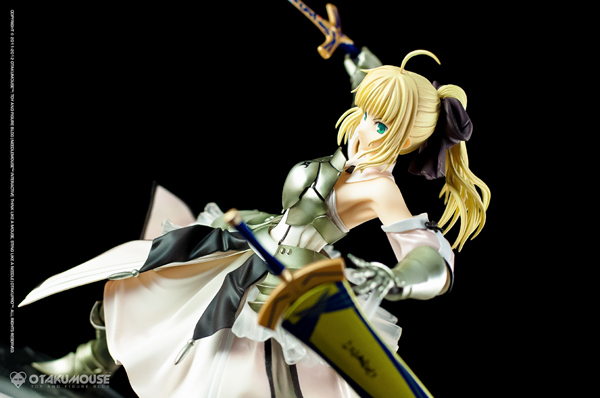 Good Smile Company is one of the figure manufacturers with a strong attention to detail and they applied that mindset to this figure. 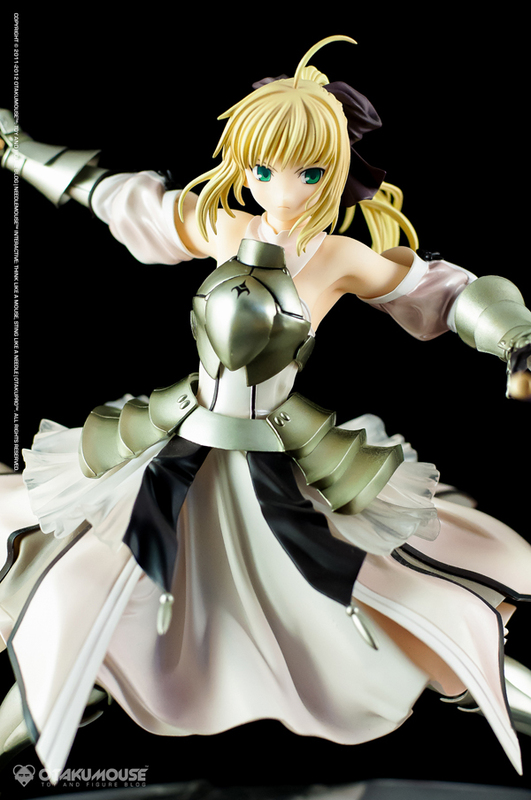 Saber’s armor pieces looks great with very detailed segments making it look like it was attached individually to her outfit. 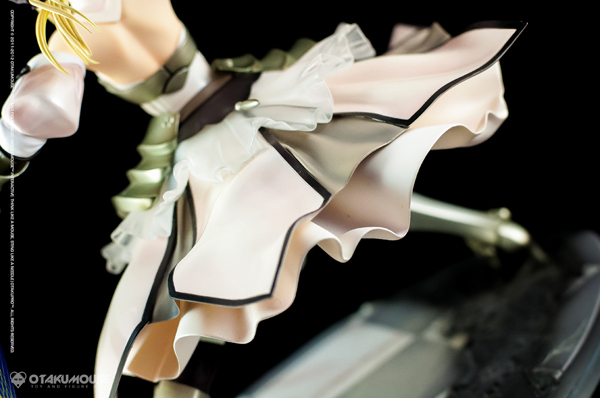 The detailed flow of her dress follows the movement of her body which makes it look even more natural and organic. 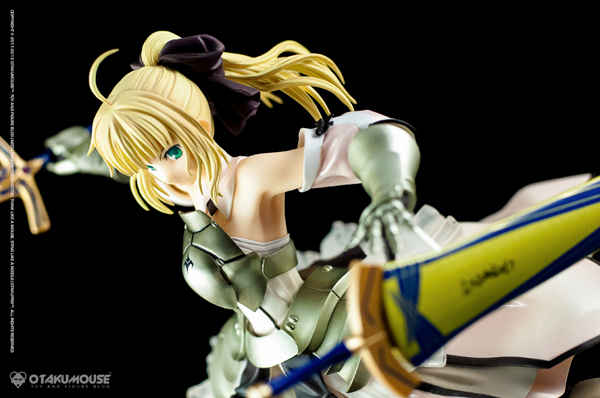 The base details also follows the same design present in Saber: Triumphant Excalibur and Saber: Motored Cuirassier. 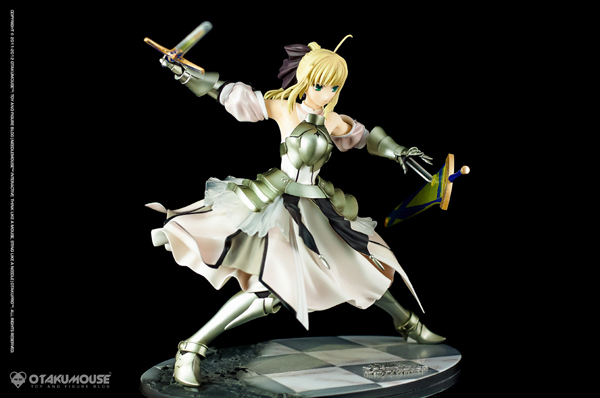 This base presentation has been a standard in all Saber figures released by Good Smile Company. There’s not much to say when it comes to the figure’s paint job. 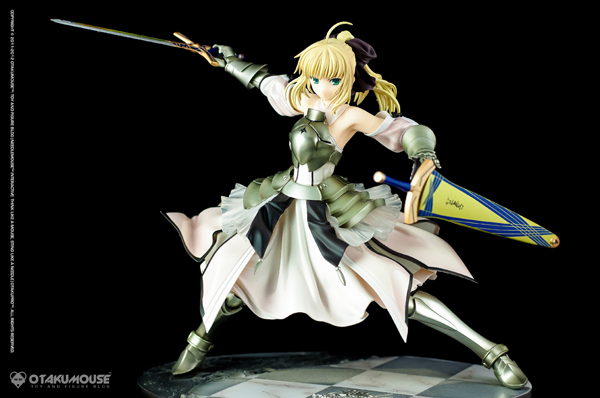 It looks great and matches the color palette of Saber Lily’s original character design. The whole figure was painted in great detail. 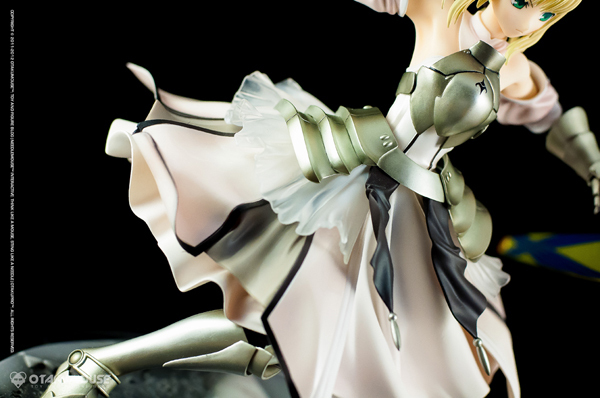 The metallic appearance of her armor and the subtle paint tones on her whole outfit adds depth and makes her really stand out in your collection. There were also no signs of paint bleeds or any paint inconsistencies across the whole figure. Figure is pretty straightforward and doesn’t include a bunch of customizable parts. 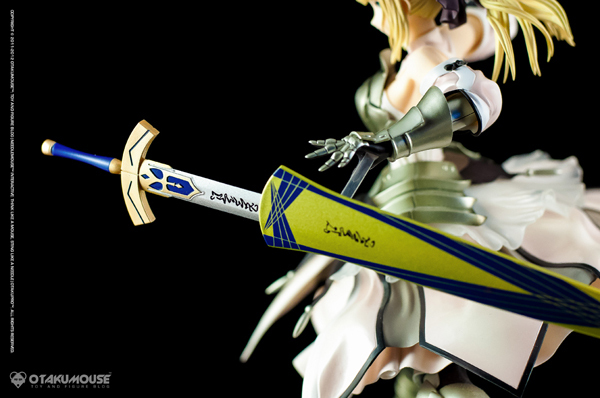 The only optional parts that you can play around with are Saber’s interchangeable swords (Excalibur and Caliburn). There are also no cast-offable parts in this figure. It’s still a great and high quality figure overall. Good Smile Company never fails to deliver when it comes to creating high quality figures like this one. 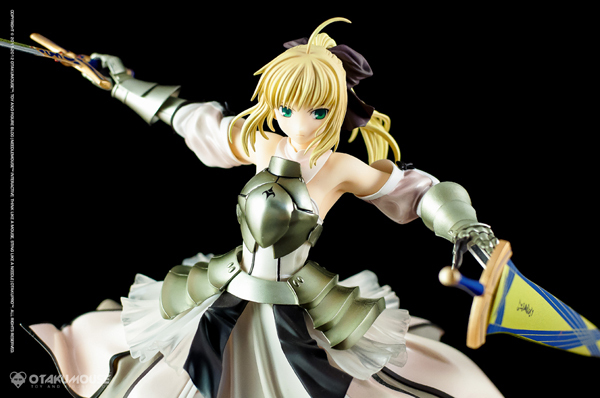 If I’m not mistaken, all the great Saber figures out there are all manufactured under their name (I’m looking at you Saber: Motored Cuirassier and Saber: Triumphant Excalibur). 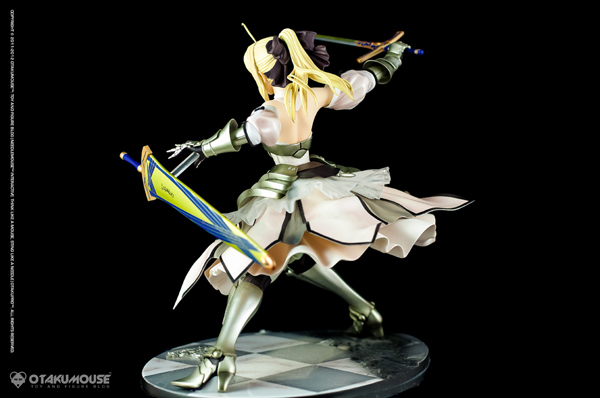 The figure has a very high quality sculpt with amazing details and the organic flow of her outfit with her dynamic battle pose is really an eye catcher. 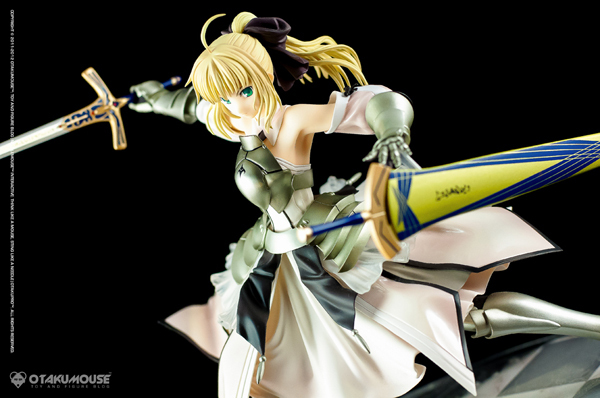 The accuracy of the figure’s paint job is also great and makes Saber stand out even more. 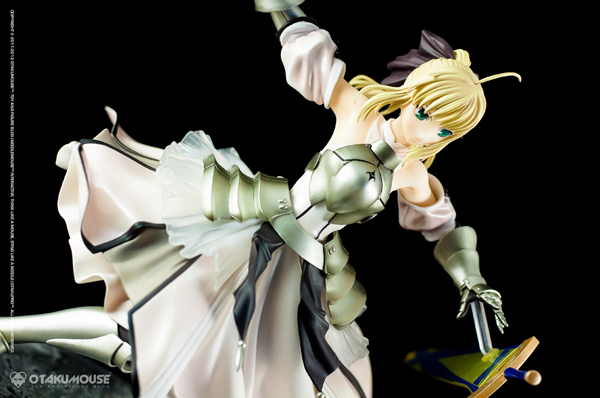 This figure never gets old and it is indeed one of the best Saber Lily figures ever created. 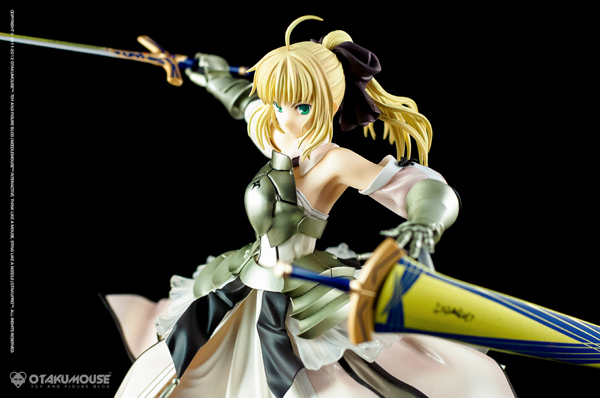 It is a must have for all Saber fans and figure collectors out there. 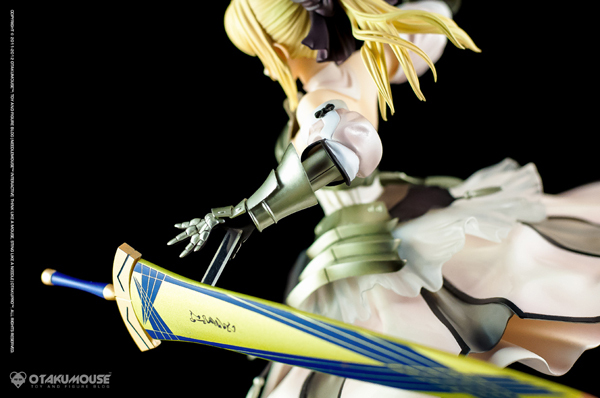 PS: So… I’m just patiently waiting for my Saber Lily: Golden Caliburn (re-release) to arrive. Can’t wait!